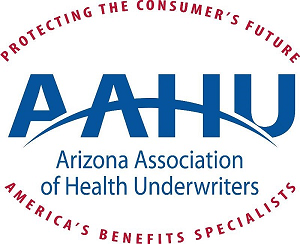 Starting January 1, 2017 NAHU will take new enrollees. REBC has newly revised requirements and for those of you that have already been earning NAHU certifications, you may be closer to earning your REBC designation, than you think. Earning the Registered Employee Benefits Consultant (REBC) designation elevates your credibility as a professional. The field of employee benefits continues to evolve rapidly. A year does not go by without new government regulations, new or modified coverages, and new techniques for controlling benefit costs. To best serve their clients, professionals need to have a current understanding of the provisions, advantages, and limitations associated with each type of benefit or program as a method for meeting economic security. The designation program analyzes group benefits with respect to the ACA environment, contract provisions, marketing, underwriting, rate making, plan design, cost containment, and alternative funding methods. The largest portion of this course is devoted to group medical expense plans that are a major concern to employers, as well as to employees. The remainder of course requirements include electives on topics serving various markets based on a broker’s client needs. You can find more information for REBC from NAHU here. You can also reach out to the AAHU Professional Development Chair- Judy Johnson- for more information.